Real Estate Agents are normally paid on a commission basis. Commissions are usually paid by sellers. When a consumer lists their home with a real estate company, they are charged a commission. If another company brings the buyer for the property, the commission is typically split between the two companies. This is how agents get paid. Most real estate companies are now charging an additional “Broker Fee” to buyers and sellers in addition to the commission. 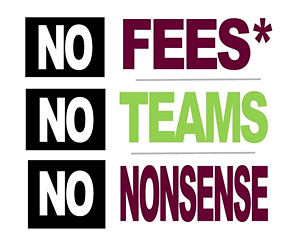 We have seen this fee range anywhere from $200 – $900. Wolfe & Company does not charge a Broker fee on top of commission to sellers and we do not charge ANY fee to represent buyers, provided the property is listed with a real estate Broker. The exception would be if a buyer wishes to purchase a home that is “For Sale by Owner”, but still wants to be represented by one of our agents and the seller refuses to negotiate a commission for the agent. In these rare instances, the buyer would have to pay the agent some agreed upon fee for that representation. Many real estate companies have a very large number of agents on staff. Sometimes these agents get together and form “teams”. Teams are essentially an “office within an office.” Also, some agents employ assistants. Often this can cause confusion when managing the transaction. Communication is vital in a smooth transaction. Agents need to stay in contact with the client, home inspector, lender, Title Company or attorney, etc. to make sure the transaction is progressing within the required time parameters outlined in the Agreement of Sale. At Wolfe & Company, your agent works directly with you throughout the entire transaction. You will never be “passed off” to a team member or an assistant. Since 1986, we have built our reputation on honest, reliable, and professional service and we will continue to do so. EXPERIENCE DOES MATTER! !